Suitable for dry and/or mature skin and skin exposed daily to the elements. 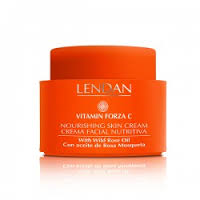 A double action nourishing and free-radical combating cream with wild rose that regenerates the skin’s tissues. Protects the skin from the day-to-day oxidation caused by environmental factors. - Anti-free radical action thanks to a combination of orange concentrate, vitamin C, vitamin E and orange peel essential oil. - Nourishing action thanks to its wild rose oil and shea butter. Apply morning and night after thorough cleansing. For greater effectiveness it’s recommendable to apply a few drops of intensive repairing treatment to the face before applying the cream.